Spray Booth For Sale | Do I Need One Today? Spray booth for sale is news for body shop owners and it should be too. Spray booths are proving to be game changers for the auto body shop owners. Not only will they increase productivity but also improve the paint curing quality. The advanced spray booth control panels enable owners to multi-task while one job is inside the booth. 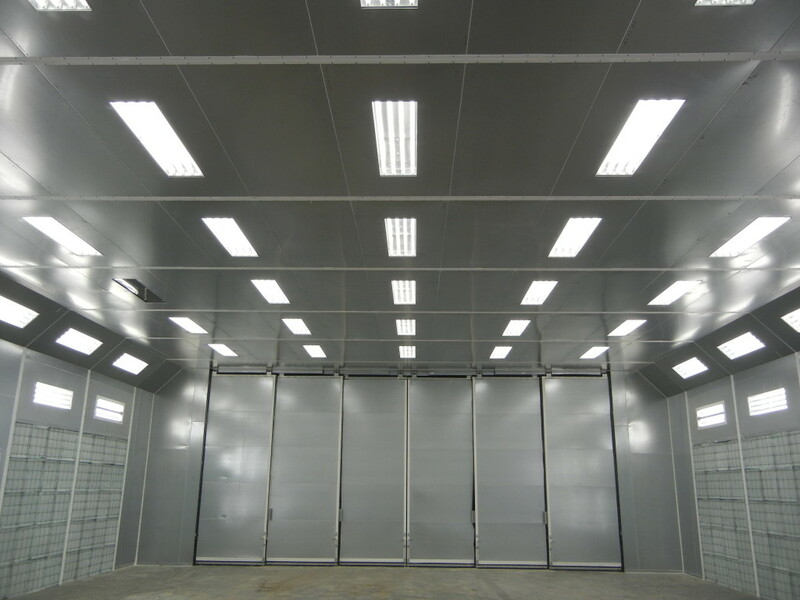 While the automotive industry is the most prevalent industry that uses spray booths, virtually any industry that requires the application of coatings will benefit from a spray booth. The aerospace, industrial, marine and woodwork industries are benefiting from spray booths as well. While a spray booth holds many advantages for the final product and safety in the work environment, its main purpose is to make sure that the painting facility runs efficiently. The number one goal of any business is to reduce the time it takes for a paint job, cut down the number of materials used while providing a consistent finishing result. Today’s spray booth systems increase the rate of evaporation by increasing the velocity and amount of air moving over the vehicles surface. Reducing the relative humidity by heating the air, by effectively evaporating the water. This allows for faster drying times and a better finish of the product. One popular category is the industrial spray booths which provide flexibility for industry and its bulk painting jobs and can accommodate item of any size. From efficiency to protection, a spray booth is a sound investment in any industry in which a great paint job is a priority. At Spray Tech / Junair, we provide all types of spray booths for your shop/facility needs. Pursue our remarkable inventory of paint spray booths and ORDER yours today.